very difficult to break into. I am 49 years old and I am a cancer survivor. I have been playing and writing music since I was 17. 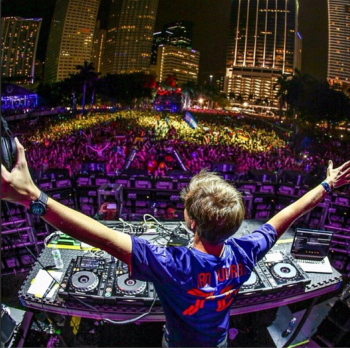 I create music because I love to do it. I am an IT Business Analyst for my day job so I don’t have to struggle to make ends meet as a working musician. However, I am excited about the opportunities that internet gives for independent artists. 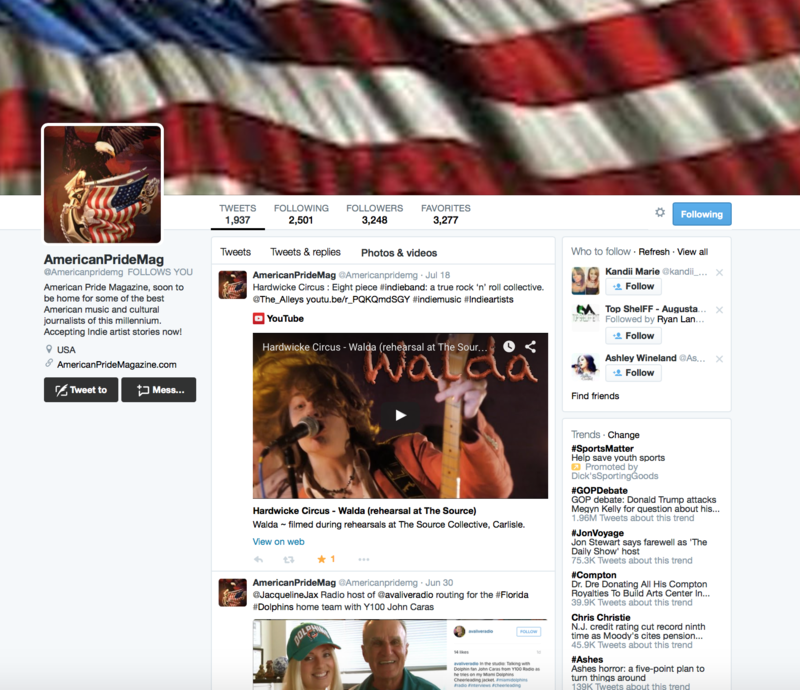 YouTube, SoundCloud, Reverbnation, SonicBids – all allow indie artists to gain experience for live shows and internet radio play. My long term goal is to transition to a full working musician and tour the Americas, Europe and Asia. I believe that Phantom Electric Ghost has a unique vital sound that the world needs to hear. the creator of the Prophet synthesizer – I would to love to understand his creative process in creating one of the first polyphonic synths and the MIDI standard. Polyphonic synths are the basis of the type of music I create – as they allow full chord structures to be utilized in song making. Prior to polyphonic synths – monophonic synths had to be over-dubbed many times to create a full polyphonic sound. Dave also had the vision to create MIDI – the “Musical Instrument Digital Interface” standard. This standard allows electronic instruments from different companies to talk to each other. I believe that MIDI was and is brilliant as it allows the cross pollination of many types of electronic instruments: analog and digital synths, analog and digital sequencers, analog and digital drum machines, analog and digital mixing systems. I admire that Dave had the drive to create his own company with his own unique vision. He realized no one else was creating the type of synth, sequencers, and interface standards and had the fortitude to push forward as an innovator and creative force. is a song about how the youth of today were outwitted by politicians who do not serve their interests. Many young people are apathetic about politics and choose to spend most of their time in cyberspace, blogging, watching their favorite YouTuber and such. They did not identify with either major party candidate and were frustrated that the candidates who represented them were not selected as nominees. It is social statement about how not making a decision – choosing to not vote, or choosing to vote for a write in candidate – can affect the political landscape for the youth of America. I was working in my home studio looking at the cable news and I remembered a question that my father used to ask me as a teenager “Are you playing checkers or are you playing chess? Chess – a thinking person’s game requires deep logic and pre-planning to counter your opponent’s next moves and end game. That question led me to write the song and it all came to me through a stream of consciousness. This is how I tend to record – I recite the lyrics like spoken word poetry and then I transcribe them to computer. I later adjust and refine the lyrics to fit the tracks that I record utilizing a hardware recording method. I do not use a digital audio workstation or DAW. I utilize an “old school” early 80s 90s hardware recording workflow. Start song on an analog modular synth – Moog Mother 32 or Roland System 1m as a 32 step or 16 step sequence. Utilize Arturia Beat Step Pro sequencer to further refine sequences and start to create separate parts of the song – into – melody, chorus, and refrain. Create chord structures on Roland Juno Gi or Roland JDXI. 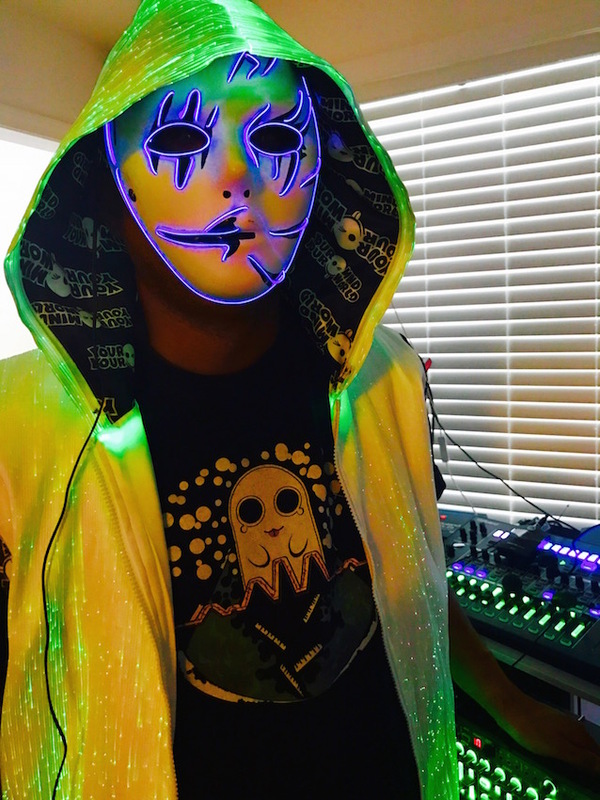 Use vocoder on Roland JDXI to sing in Phantom or Josephine Electric voice (Josephine is my female alter ego) Utilize Roland MX-1 Performance Mixer to create real time effects on individual tracks including vocal tracks. Record all aspects of the song structure via Zoom R16 recorder – which allows me to capture digitally the analog synth sounds that I mentioned in Step 1. Refine and master tracks via punch in punch out method on Zoom Master track on Zoom R16 and do final master on LANDR. which will be released in 2017 is the 4th Phantom Electric Ghost Album. It is different because this record is a collaboration with my guitar player Erik Martin who joined the band in September 2016. The Dark Ghost project has a darker perspective as the world is becoming more challenging and dangerous on many levels. At the macro level we have global warming and political unrest between nations. At the micro level we have domestic violence, sexual abuse, gun violence, xenophobia, and the desperation of anomie. Dark Ghost is meant to be heard as an album not as a collection of singles as there is a common theme running through the songs that ties them together as a whole. At a minimum it is 2 cd set. We have over 70 songs so it may be a 3 or 4 cd set in its physical configuration. I use a Roland vocoder to play characters in our songs. 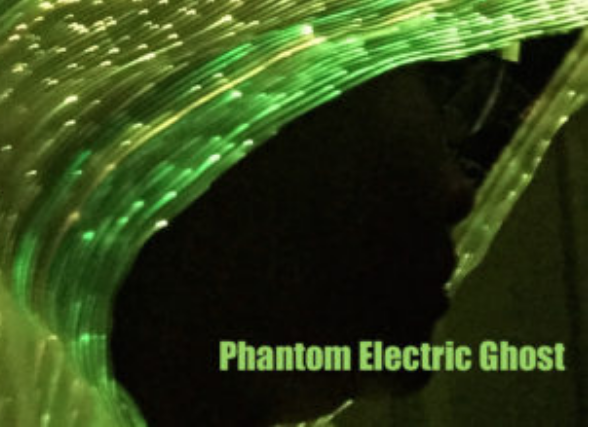 Phantom Electric Ghost is a menacing bass toned voice that I tend use as flourish in songs. Josephine Electric – my female vocoder persona is the primary lead on most songs. In the case of “Out Played by the Man” you are actually hearing my true voice with very little effects. We hope to bring this album on the road in 2017. Our first gig playing this material will be at Fat Baby in NYC on February 10th at 10:30 pm in Manhattan. We hope to also play the Winter Music Conference in Miami in March. There is not a big electronica or edm scene in NH but I have found musicians to record with via the Internet and in my home studio. My guitarist Erik Martin lives in Portsmouth NH. We have played shows in Boston or NYC where the audiences are willing to hear original material. Phantom Electric Ghost does not play cover tunes for the most part unless we totally re-arrange them.